A big THANK YOU to everyone who participated in the photo contest this month. It’s always so much fun to see how our artisanmade products are worn and loved. Check out some of the photos we received… and scroll down to see the winner! Adrienne at Ben Lomond, California. Amazing Redwood trees! Fantastic to see our Quetzal Backpack and Hummingbird Wrap in the forest. 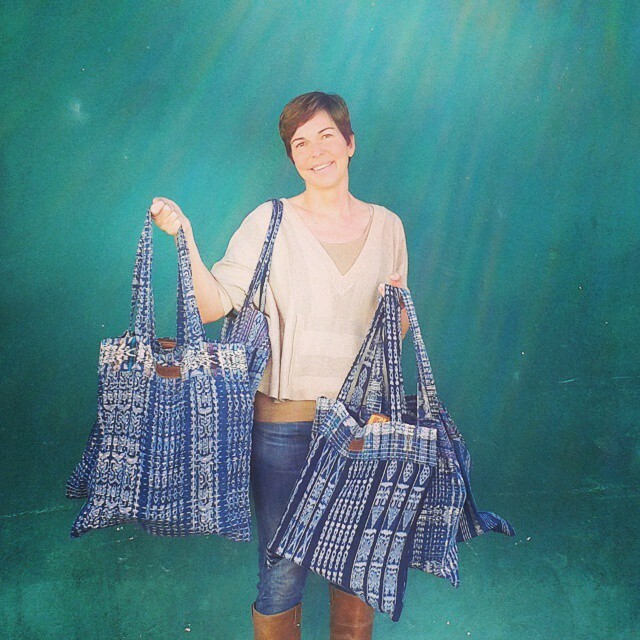 Adrienne with her Quetzal Backpack and her new Corte Wrap, having fun at a Fair Trade fair in California. 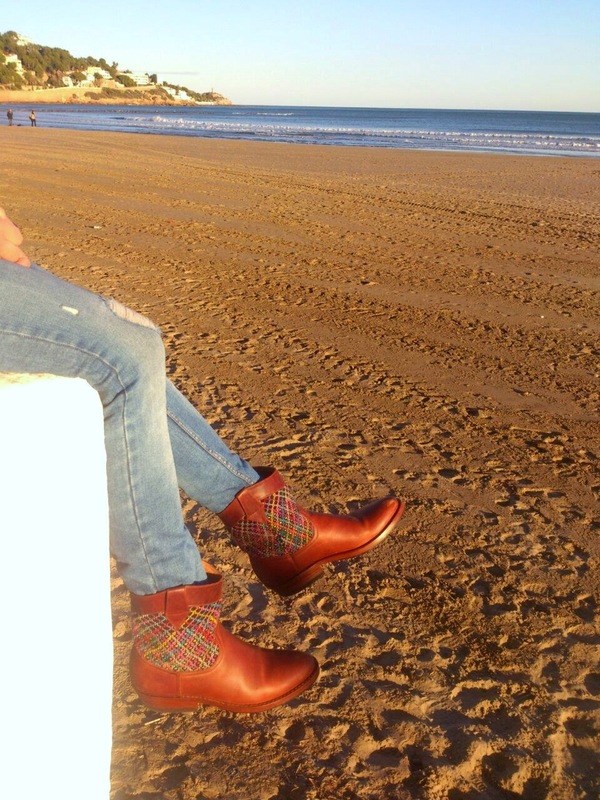 Jessica at the Cliffs of Moher, Ireland, with her Hummingbird Boots. What an incredible view! Kelly showing off her complete outfit with a Quetzal Wrap in Palo de la Vida and Quetzal Backpack. Kelly requested an oversize matching wallet for her backpack… they look great together! 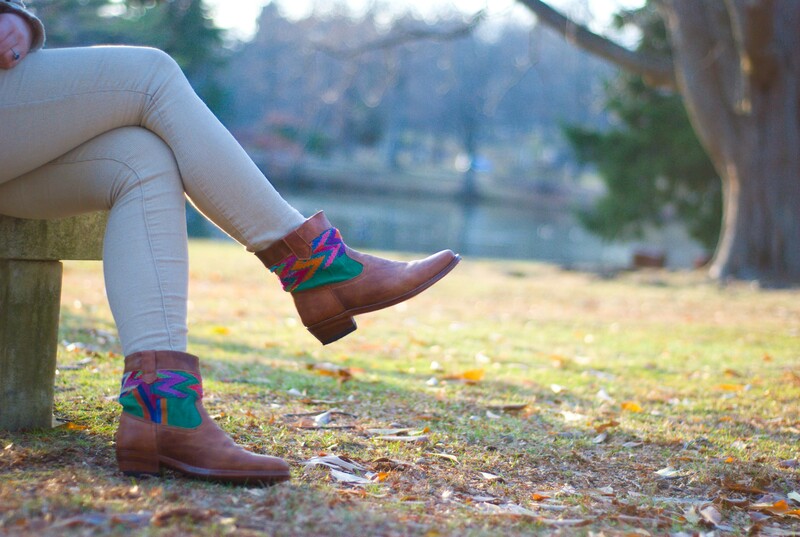 Holley, who spent an entire day shooting these shots with her friend Maya wearing her Macaw Boots at the Brooklyn Botanical Gardens. I especially love that it shows how much fun they had on this beautiful day. The magic is definitely real in this shoot that Holley titled “Alice in the Jungle Book”. Thank you everyone for taking part, and congratulations to Holley – she’ll be getting a Macaw Wallet of her choice, either Brick or Forest. Yay!! 1.What inspired you to start Cardamom Collective? Cardamom Collective was started via a Tumblr blog several years ago. I had finished graduate school for Art Education and International Education. I loved being back in school and spending time talking with people who cared about the same things I did, it felt so exciting to be engaging in the world this way. In graduate school I studied a Swedish form of folk craft which is also an educational curriculum called slojd, and I fell in love with handcraft, experiential learning through understanding the process of things and appreciating really well made home goods and textiles; functional art. At the same time, I had traveled quite a bit by this point and was really drawn to the crossover I saw in many cultures of motifs, flavors and traditions, so much of that was a result of the Silk Road and Spice Trails and I began to explore those. I wasn’t sure which form this would all take until I went to India while working at Khazana Imported Arts and Textiles and stepped foot in the printing village I did my first run of hand printed scarves with. The moment I got there, I knew it was where Cardamom Collective would begin. 2. Your products are wonderfully eclectic – gorgeous scarves, handmade paint kits, little pouches… We love it all! What’s next? Thank you! It’s hard for me to narrow it down, I love trying everything! I’m currently designing my own ikat weave which is in the process now, and I am very excited about that. I’m focusing on finding a way to bring textiles into peoples homes in purposeful and sustainable ways. There are many traditions of textile use around the world: Japan, India, Uzbekistan, Peru, Guatemala, and many other countries have special cloths they use for specific things in the home and their daily life. I love the idea of being able to incorporate small pieces of art and ceremony into the day. I’m also looking forward to offering more travel essentials, pouches and children’s items! Thank you for your kind words, I just love taking photos and have since I was little. I used to take entire rolls of Kodak film of just the clouds in the sky! There are so many incredible images and photographers out there, it’s part of what I like about social media, being able to experience how others see the world. One thing that I try and do is take photos when I see something that inspires me, even if I’m not sure why at the time. Maybe it’s a color combination or a play of textures. Another thing I try not to do is tinker too much. It’s not to say that I never arrange things artfully but I try not to obsess about catching an image, and make an effort to stay in the moment. If the light pours through the window in a special way or I’m excited about an element I hope to capture it, but if it’s just not working or I find myself “curating” too heavily, I just let it go. I think people end up responding to what really inspires you, and often times if you are listening, looking and being present in the world, others seem to be having similar experiences and appreciate the photos that much more. One of many Kakaw & Cardamom collaborations – the pouch was designed by Kelly and hand-embroidered by Kakaw artisans in Guatemala using naturally-dyed thread. 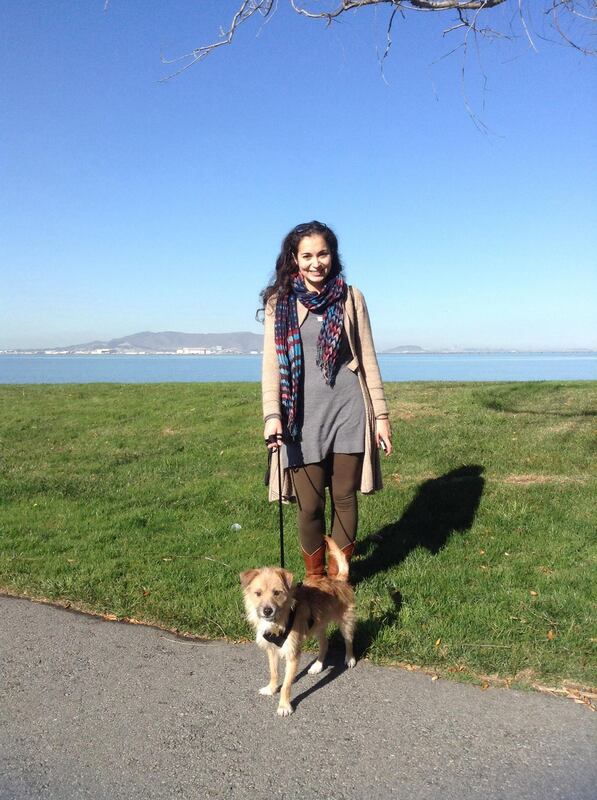 Our special lovely lady of the week, Sarah – pura chapina. My name is Sarah, and I was born in Guatemala to American parents originating from Mississippi and Arkansas. During my childhood we frequently visited our family in the US, but as the years passed Guatemala truly became our home. As a teenager I went to boarding school in the north eastern part of the US, and then attended college in Miami where I continued to live for a few years after graduating. I guess you could say I have influences of all kinds… some good ol’ southern roots, a bit of New Englander’s charm mixed with the rich Latin culture that I love so much. However, if I had to give you the short version I would say I am a proud Guatemalan. 2. The word out there is that you work with therapy dogs. For those of us not really familiar with how animals can be helpful in therapy, could you tell us how that works and what your role is? I do work with therapy dogs and I love my job! I work at Fundación Waybi/Bocalán Guatemala, a non-profit organization. 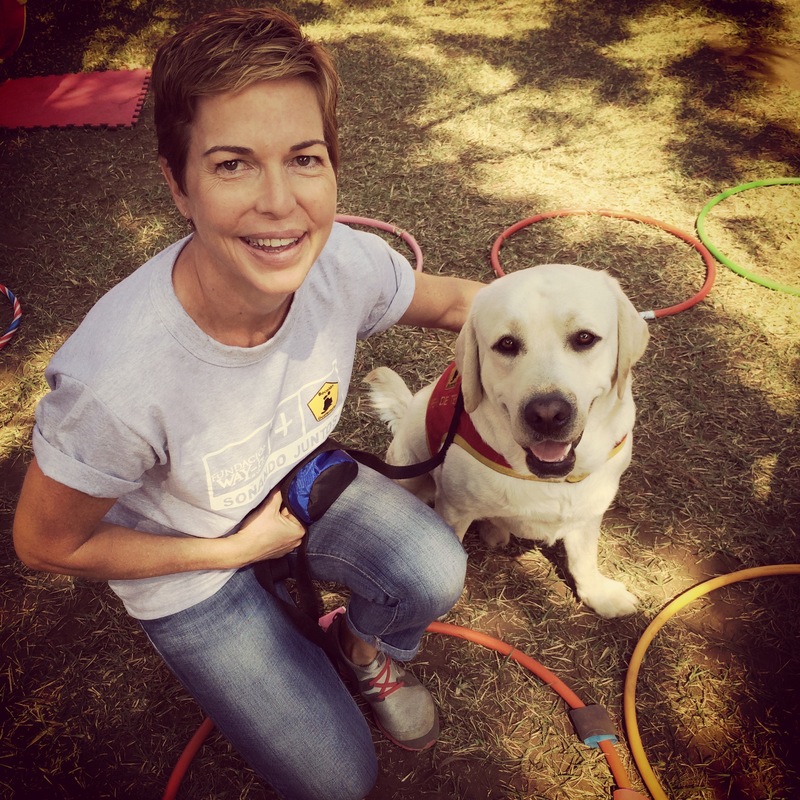 Our mission it is to improve the quality of life of people, helping them lead happier, more independent lives through our therapy and education programs, as well as our assistance dog program. Our programs include Animal Assisted Interventions (AAI), these consist of Animal Assisted Therapies (AAT), Animal Assisted Education (AAE) and Animal Assisted Activities (AAA). AAT is the participation of a trained animal within a therapeutic process which is directed by a health professional, and is designed to promote improvement in physical, social, emotional and/or cognitive functioning. 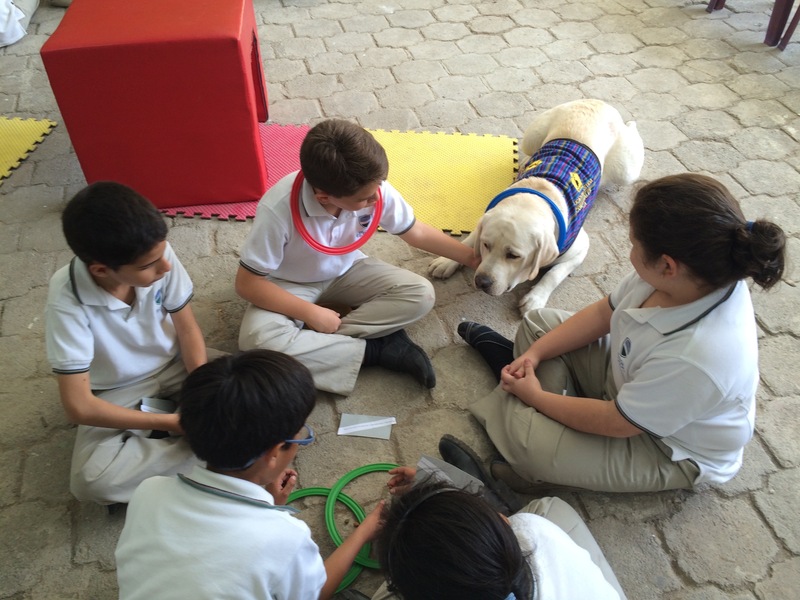 AAE is the inclusion of a trained animal in an educational program working with set objectives and directed by an education profesional, it facilitates learning by generating positive emotions. AAAs are planned activities with animals that have purely recreational purposes. We also train assistance dogs, these dogs are placed with individuals ranging from people with physical disabilities to children with Autism. I am a certified trainer and technician in AAIs and work alongside these health and education professionals. 3. We saw this lovely photo of you on Facebook. Just with that one shot we can see the calming effect animals can have on people, and the loving relationship that can develop between us (humans) and dogs. So, who is this giant teddy-bear looking fluff ball? I love this picture! This is Quentin, he is one of many dogs we have at Fundación Waybi/Bocalán Guatemala. 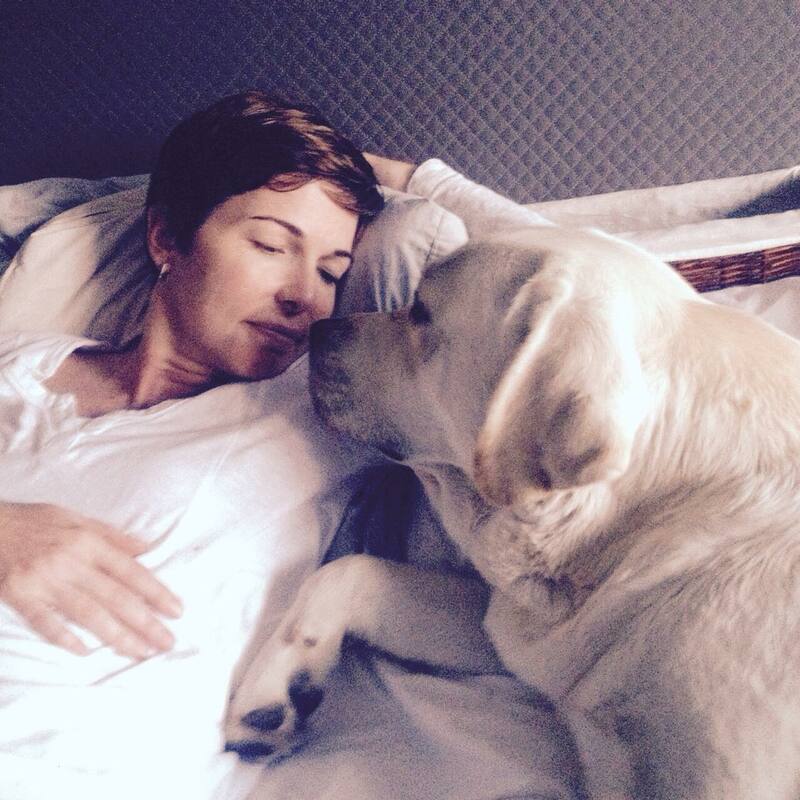 Quentin lives and works with me, I am his handler and trainer. “A giant teddy-bear looking fluff ball” is a perfect description of him! I’ve had the privilege of working with Quentin in many wonderful projects, from AAT with children with Down Syndrome, Autism and Cerebral Palsy to a fantastic AAE program in which we work at a school helping children learn mathematics in a fun way, generating positive emotions. Research shows that people who are in a positive emotional state will be open to a learning experience, make more positive judgments and give more favorable feedback than someone in a negative state. I can tell you from personal experience, it is difficult to be in a negative state around Quentin! There truly is an incredible bond that develops between human beings and dogs, and it is with this knowledge that we endeavor to create and implement successful programs in an effort to better the lives of people through these amazing animals. To learn more about the programs and what we do, please visit us at www.fundacionwaybi.org or facebook.com/bocalanguatemala. You can also find more information about our certification course in AAI, as well as many other educational courses throughout the year. Guess which boots she had custom-made! Not at all surprising that she chose the textile with DOGS….. you think she might like dogs a little bit? 😀 We do too!!! 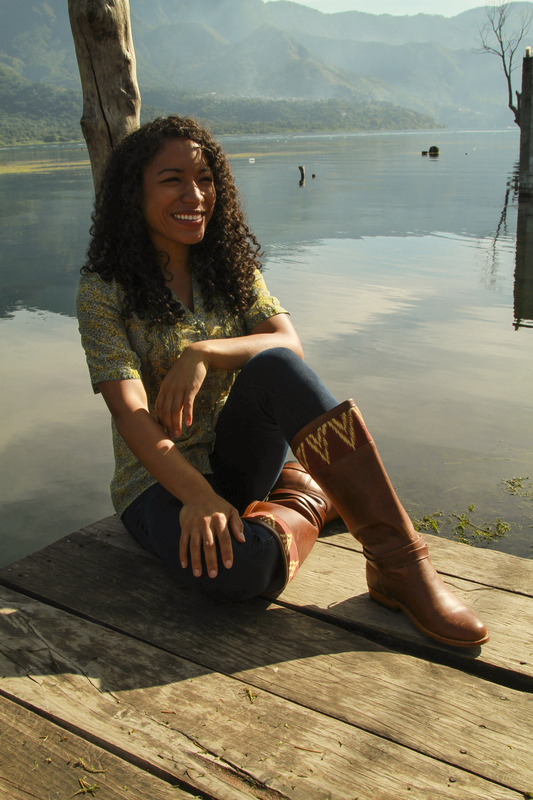 You may recognize her big smile and stunning curls from our website – she was one of our models last year during her visit in Guatemala, and we LOVE the shots we got of her. Take a look at our website to spot more of Apple! 1. What? You’re named after a fruit? What’s the story there? 2. You’re an international child. How do you think your experiences with different cultures and countries have shaped you? I am very grateful for my international background as it has helped me understand various foundations of knowledge, decode seemingly odd behaviors, and truly appreciate the variety of people around me. I am almost as equally grateful for the superhuman stomach that it has equipped me with. Meet Gloria, our first Sweet Thursday gal in 2015! She’s awesome because, well, she’s just the sweetest, silly, laid-back and adventurous girl around, but also we love that she is the first to be part of the Sweet Thursday series all the way from Europe. My name is Gloria and I ́m from Spain. 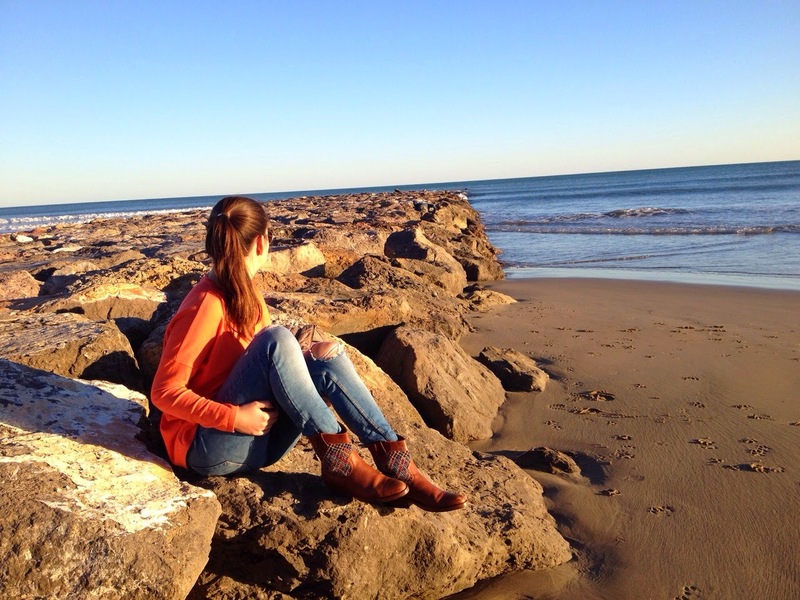 I live in Benicassim, a small town next to the beach. Living here is nice and quiet and the weather is warm most of the year. 2. We know you’ve lived in the US too. What was that like? I spent my junior year in Walnut Creek, a little town next to San Francisco. And I must admit it was one of the most enriching experiences of my life. I learned a lot about a culture and a lifestyle very different to mine and I had the chance to go to high school and meet very interesting people, many with whom I still maintain contact, which I love. It was such a unique experience, one which enabled me to grow and overcome obstacles, like English. I never thought it would be possible for me to learn the language the way I did. 3. Where is your next trip destination? You have lots of places to choose from around Europe, or do you want to go further away? There are so many places that I’d love to travel t0. In fact, my dream is to visit as many places and get to know as many cultures as possible, because I really believe that’s the best way to grow as a person. But I do have one special place in mind that I’d like to make my next destination: Argentina. I’ve dreamed of traveling there for years now, and I hope to be able to make that dream come true soon. 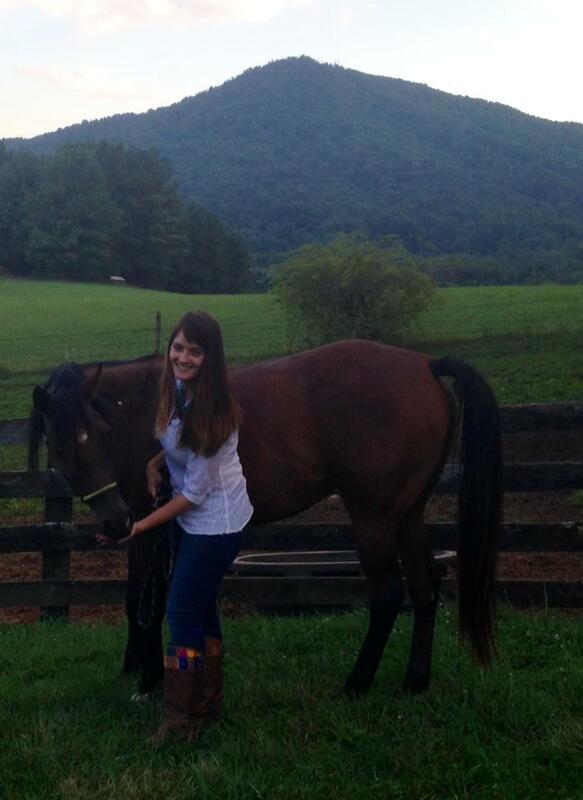 This week’s treat: Leah from Roanoke, Virginia. 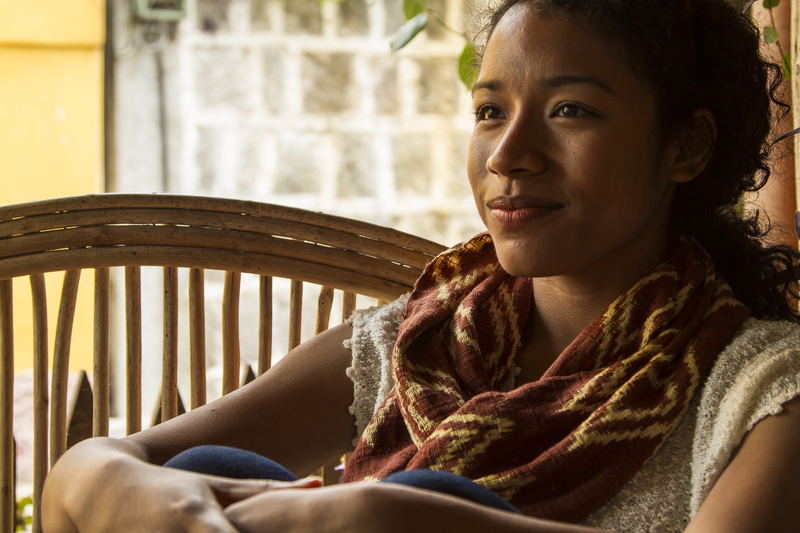 Leah and I met when she was in Guatemala earlier this year. We got to talking, it didn’t take long for me to see how cool she was, with her knitting projects and riding horses (probably not at the same time). 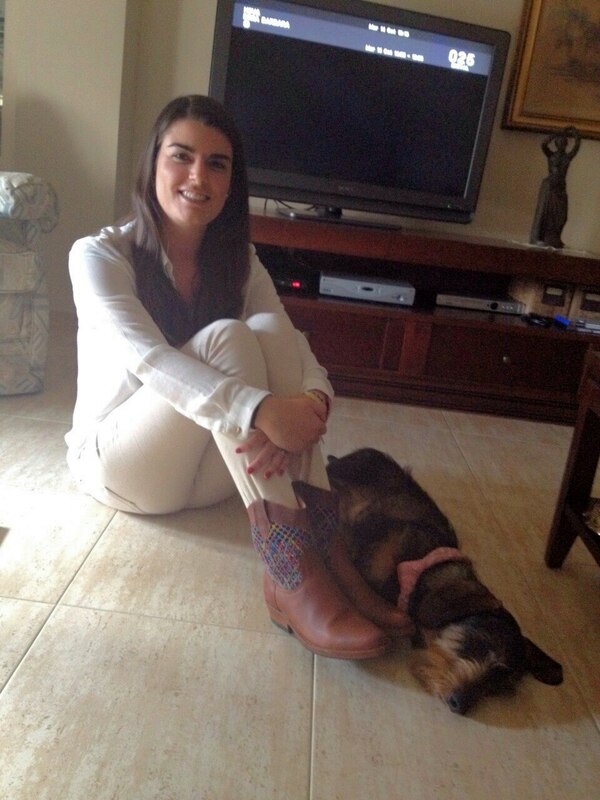 Leah, you’re awesome and you look gorgeous in your Macaw Boots! 1. 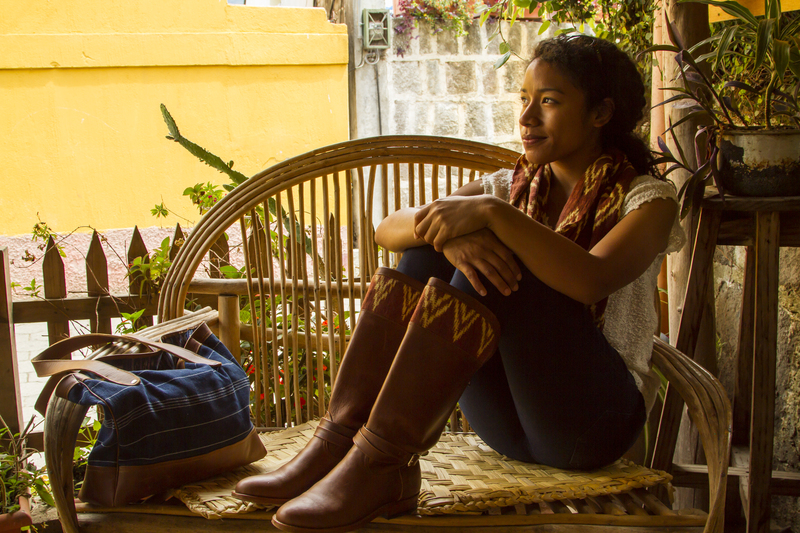 What brought you to Guatemala, and how was your experience? I’ve been going to Guatemala for the past five years and spending time in a community in Chichicastenango. My college church at Florida State has been involved with a church there and its community. There is now a community center built there for the church and the residents and sometimes FSU students will stay there for a few months to hang out with the community and build up their spanish language skills. I have made some great relationships there and it was really cool bringing my husband for the first time and introducing him to some of the people who knew me before I was married. 2. Where is your next dream destination, if you could go anywhere in the world? Why? I would love to go back to Rome. I thrive in places filled with history, that breathe life into our busy world by standing the test of time. What makes me happy is being there for someone in a time of need. I am in school for Occupational Therapy, which is therapy for the upper body. This includes incidents that have impaired a persons ability to care for themselves or changed the way they live/work/play, and get them to a place that they can function independently and live a full life. Our dog Bear is going to be trained as a therapy dog so that I can take him to work everyday and encourage patients in their therapy. Watching him bring joy to people makes me so happy and I can’t wait for him to help people during vulnerable times in their lives. 4. 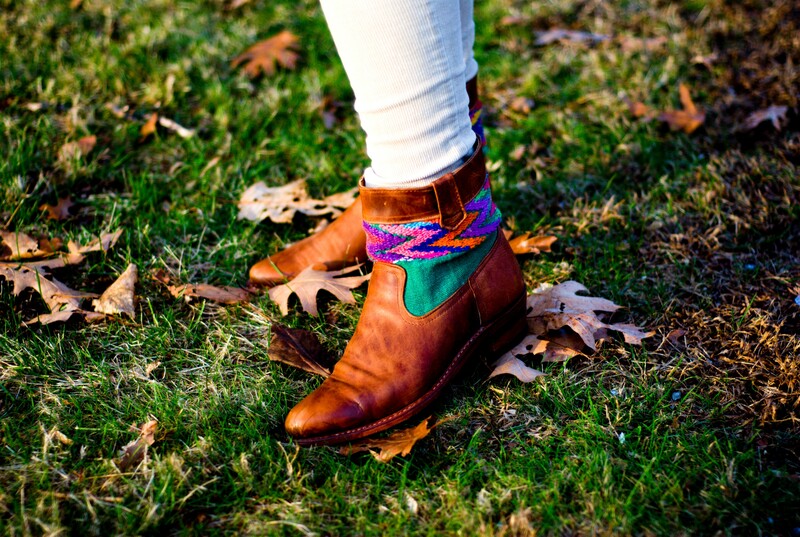 How do you rock your Macaw Boots? Jeans, a leather jacket from Rome, and a cowl-wrap I made (similarly to the wrap Jennifer Lawrence wears in Catching Fire, it’s corny but it was a school project and it’s awesome!). This week’s beauty, inside and out: Sarah! It’s a tough question, haha! I was born and raised in Paris, France. When I was 13, my mom and I moved to the SF Bay Area, where she remarried shortly thereafter. I finished high school in the city and attended college at UC Davis. I’ve lived in Boston for five years now, but when people ask me where I’m from, I’ll often either give a short answer and say California, or give the longer version and recount this story. To me, Paris and the Bay Area are both my homes, but in different sentimental ways. 2. So the word is that your dog is famous. What’s this about?? HA! We rescued Remy a year ago from a non-profit organization called the Sato Project. Their mission is to rescue abandoned and hurt dogs from Puerto Rico who have been dumped on a beach called Dead Dog Beach. Animal cruelty is a big problem there. After we adopted Remy, a volunteer from the organization contacted me to say that they were looking for a cute pup to represent them in the catalog of an online dog supply store called “In the Company of Dogs.” They thought Remy would be great for this, so he went to get his picture taken with toys and ended up a model in their catalog. The photographers and catalog teams loved him so much that they made him Dog of The Month for April 2014. It was SO fun! 3. 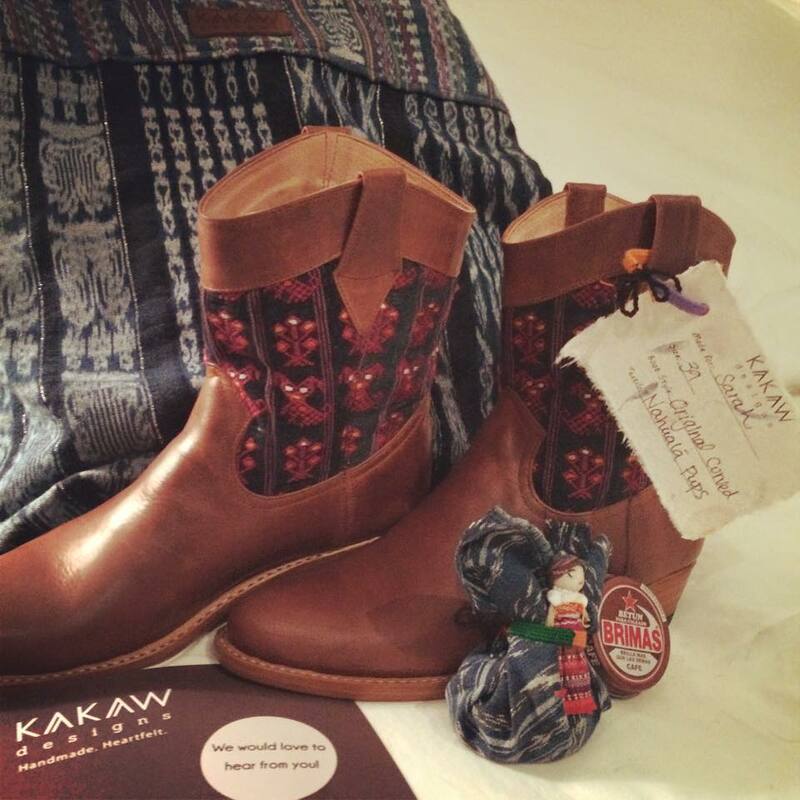 When is the best time to wear your Kakaw boots in the Boston area? 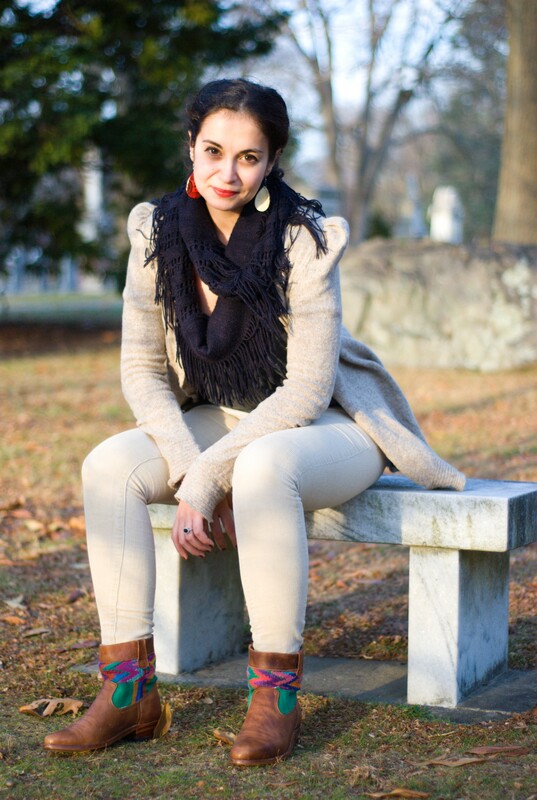 Hands down, the best season for the short boots is the Fall – also the best season in New England. The temperatures are crisp but still comfortable, the weather is dry, the foliage turns all kinds of reds, browns, yellows and even purples. Parks in New England look like paintings! 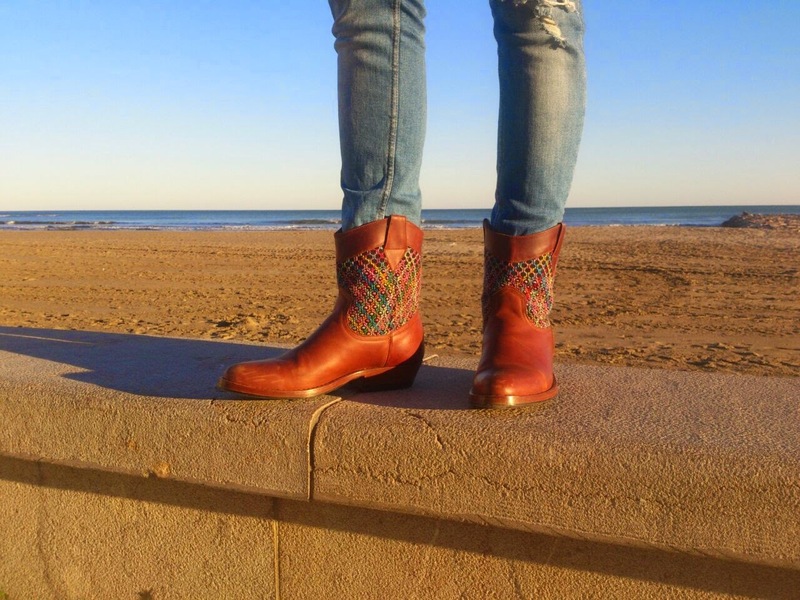 It’s the perfect time to wear the boots without worrying about the cold or humidity, not to mention that the textile color pairs beautifully with this scenic landscape. 4. How do you like to wear your boots? The boots can be paired with so many different outfits. I love corduroys, but they work with skinny jeans, as well as with skirts or tunics with leggings. They’re very fun and you can create many styles! 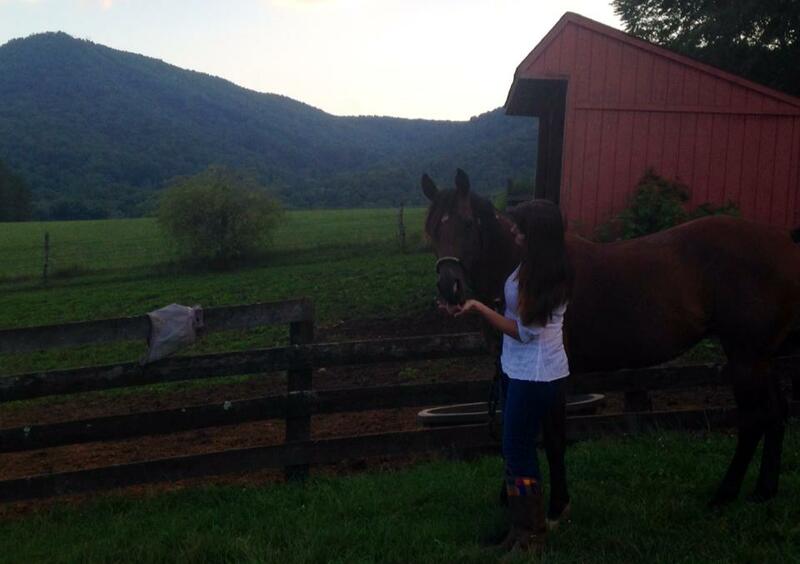 Thanks, Sarah, for sending us these gorgeous shots of you, and answering our questions. You look great!